When I was ten years old my family moved to the U.S. from Estonia in hopes of a good future for the children. Now married and with a carrier in dental hygiene, I can say these hopes came true! I am a graduate of TCC and received my Associates Degree in Dental Hygiene from Pierce College in 2015 and absolutely love what I do! 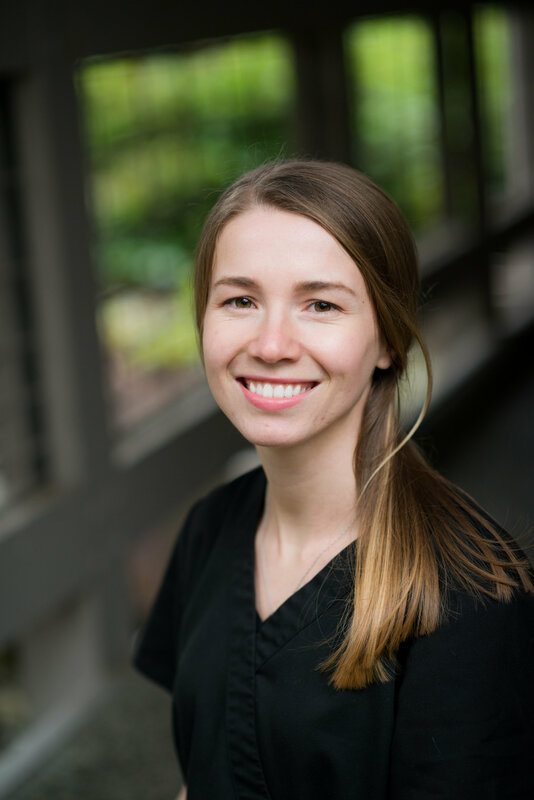 It’s building relationships with my patients and helping them achieving their oral health and aesthetic goals excites me most about my position. On a personal note, my husband Tyler and I are newlyweds and fell in love over a share passion for mission work. We love serving the community as well as traveling to impoverished areas of Mexico and Argentina for mission work; we have been involved with several local organizations such as the Tacoma Rescue Mission, Homeless Connect Project and programs through the Catholic Community Center. We own a construction business that focuses on remodeling houses and this past year we endeavored on a few trips and worked directly with orphanages and local churches. On these trips, we remodeled torn walls of an orphanage, built a roof in a church and most importantly built friendships with the children in the orphanages. In the future, we hope to bring a larger team to continue remodel work, and provide programs for kids that include some dental and medical education. I am excited to be a part of the outstanding team at Hansen and Associates and the opportunities that it will bring!